I drink a lot of tea, and I mean a lot...about 3 litres of it per day. My favourite is chai, specifically Double Spice Chai because it's even spicier than regular chai tea. I found a recipe for chai spiced cookies from the Whole Foods Market site that sounded awesome, but there were many comments left from others who had tried out the recipe that it was too dry. I followed the original recipe at first. I wasn't happy with the crumbly texture of the dough, so I adjusted the balance of dry and wet ingredients and balanced the spices to my liking. The cloves were overpowering in the Whole Foods recipe. 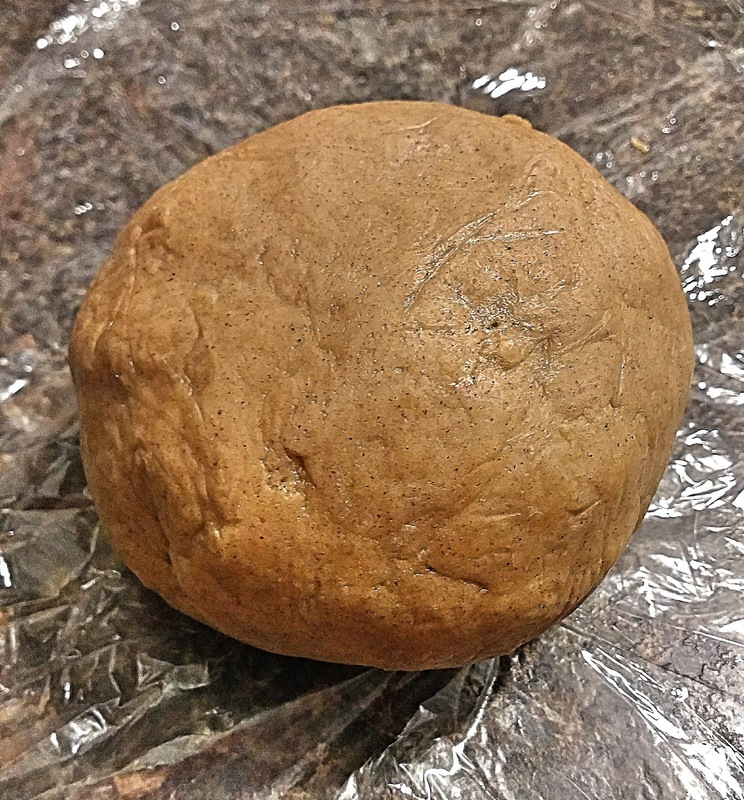 I adjusted the recipe to make it more like my Gingerbread cookie dough, so it can be cut with cookie cutters instead of rolled into balls. Also, I wasn't feeling the sugar coating, I'd rather have royal icing with added vanilla! 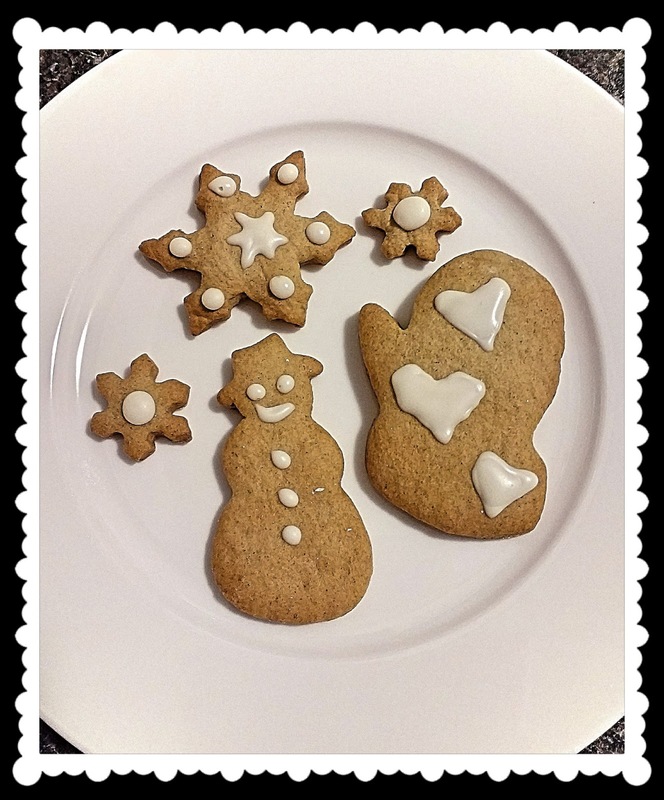 So here it is, perfect for the holidays...my version of Vanilla Chai Spiced Cookies. They're like a chai latte in cookie form! Cream the butter, granulated sugar and vanilla extract in a stand mixer or with a hand mixer. Add maple syrup, spices, and salt and mix again. Add flour, baking soda and water and mix until well combined. The dough should be just firm enough to knead into a ball. Wrap the dough in plastic wrap and refrigerate for at least 2 hours, or overnight. Remove the dough from the refrigerator, flour the work surface. Preheat the oven to 350°F, and line 2 baking sheets with aluminum foil. Lightly grease with canola oil spray. Roll the dough out 1/4 inch thick. 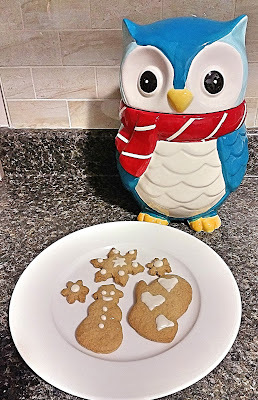 Use cookie cutters to cut dough and space evenly on baking sheets with room to expand. Bake for 8 to 9 minutes. Remove from cookie sheet with a spatula and place on cooling rack. Allow to fully cool before icing. Combine 3/4 cup icing sugar, 2 tbsp of egg whites, and 2 tsp of pure vanilla extract in a mixing bowl. Blend together with hand mixer. Scoop icing into piping bag, push down into point, and snip off a small piece of the corner. Start decorating!